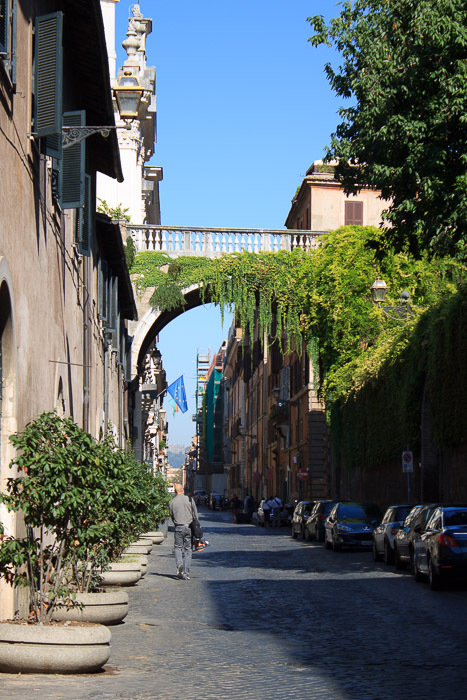 The Farnese Arch is a walkable passage over Via Giulia, a north-south street near the Tiber River across from Trastevere. It is right near the Fountain of the Mask. Some believe that the Farnese Arch, built by Michelangelo, was supposed to be the first part of a longer walkway that would have spanned across the Tiber River, linking the Farnese family's palace to their summer home across the river, Villa Farnesina, but this project never was carried out and the archway remains merely a passageway from the palace to the family's art collection in a building across the street. 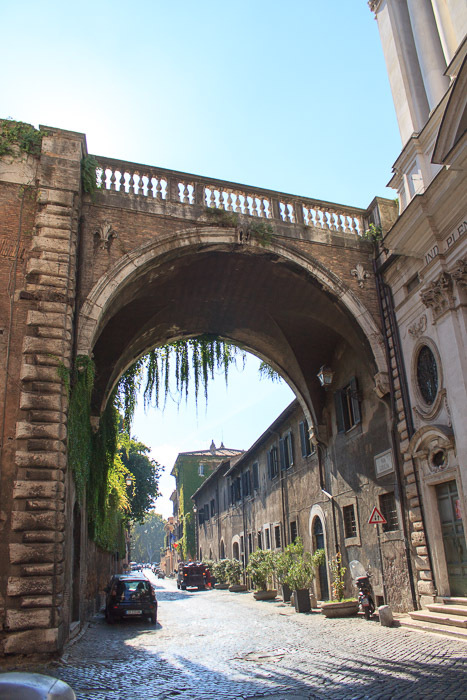 See all Farnese Arch photos.